When you're ready to quit being pitiful and start being powerful hire a breakup coach. You'll be doing everyone a favor. Some people can work through them by themselves. Other people need a little outside help. And when I say help, I don't mean friends and family. Of course friends and family have an important role to play. But they cannot serve as your breakup coach. They are too close to you. And that means they are both afraid of you and for you right now. And yes, therapists are great. But if your breakup involves a divorce, not all therapists are mindful of the possible ramifications of certain behavior on your lawsuit--and no one should ever forget that divorce is a lawsuit. That's where a breakup coach comes in handy. They're not therapists, so the don't have any qualms about letting their opinion flag fly. And they're not one of your BFFs, so they're not going to buy any of your B.S. But how do you know if you need to hire a breakup coach? After all, if you're suffering from temporary insanity you can't exactly trust your judgment right now. The following list will help you figure it out. • You find yourself thinking about mixing up poison and spreading it on someone's doorknob. In case you think I'm referring to the behavior that landed Ingrid Magnussen in the slammer in the novel White Oleander, this isn't just the stuff of fiction. This is actually the fact pattern central to Bond v. United States, a case currently being considered by the U.S. Supreme Court. In reaction to learning that her best friend was knocked up by her husband, Carol Ann Bond mixed up poison and spread it on her BFF's doorknob...twenty-four times. So, if you develop a sudden interest in chemistry and toxicology, you could be having a toxic reaction to your breakup. • When packing for a trip to Orlando, you find yourself filling your suitcase with things like adult diapers, latex gloves, pepper spray, a BB pistol, a knife, a wig, and some plastic garbage bags. Sound familiar? That's because it really happened back in 2007. 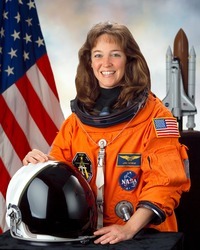 Astronaut William Oefelein began gravitating away from colleague and paramour Lisa Nowak and toward another colleague, Colleen Shipman. Upon discovering the problem, Nowak authorized a mission to go eradicate her competition. Specifically, she drove nonstop from Houston to Orlando allegedly clad in an adult diaper so she could kidnap Shipman. Luckily for Shipman, Nowak's mission was not accomplished. 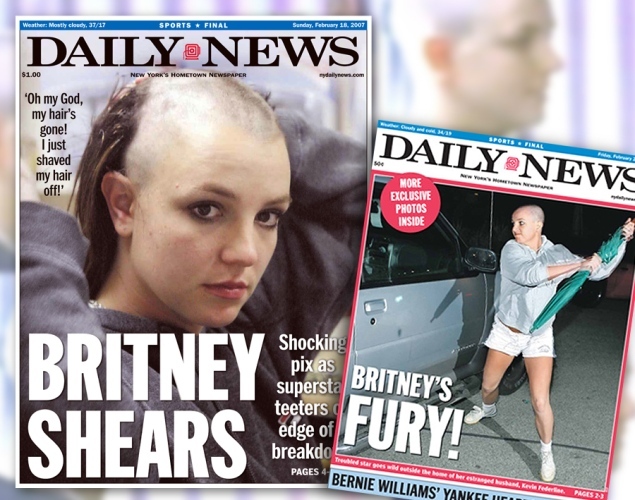 • You shave your head, grab an umbrella, and do whatever it is that Britney Spears is trying to do to that car. This is one of those cases where a picture is worth a thousand words. So, I don't really need to explain this one any further, right? Do these cases sound crazy? Good! Because in all seriousness, these aren't candidates for breakup coaches, these are candidates for institutionalization and/or incarceration. But now that I have your attention, we can talk about real indications you might need a breakup coach. I know firsthand how a traumatic divorce can do a number on your head. In the thick of our very nasty divorce, my then-husband told me that he had almost gotten in a car accident on his way to my house to pick up our six-year old daughter so he could take her to a far away land called Iowa where she would spend Thanksgiving apart from me for the first time ever. Without even thinking about it, I responded with "Oh, no!" While that sounded like a perfectly appropriate response, I realized as soon as it came out of my mouth that I had not said it because I was concerned that he had almost gotten in a car accident; I said it because I was bummed that he hadn't. It was the kind of "Oh, no!" I might have blurted out if someone had told me I missed winning the lottery by one number. Of course, no matter how much of a jerk he was, I would never do anything to cause him (or anyone) any harm; but my automatic response revealed how much I disliked him even on a subconscious level. And that was alarming to me. And that's my point. While negative feelings toward your soon to be ex are understandable during a nasty divorce, those negative feelings should come as surprise to you because (a) you're not typically like that, and (b) you have better things to think about. • Your initial reaction to learning that your ex narrowly avoided a car accident is one of disappointment. Even if you are appropriately shocked and dismayed by your reaction, the fact that you had the reaction at all indicates the degree to which this breakup is affecting you. You are not the type of person who is normally pro-car accident or any other calamity--no matter who is involved. Evidence that you have been knocked for this much of a loop is an indication that you need additional help to get this breakup behind you. • Your friends are sick of you and your breakup. First your friends were totally there for you. They checked in on you constantly. They comforted you whenever you had one of your crying jags. They listened to you when you talked incessantly about your breakup. They made plans to get you out of the house, cheer you up, and keep you busy. After a while, they quit doing the planning, but they were still game to do stuff with you if you took the initiative to organize it. Now, they hardly ever call you and when you call them you're likely to get their voicemail. If you do catch them, they're too busy to get together. Face it: You've burned them out. They've given all they can to your cause, but now they really want you to take it from here. • You're sick of you and your breakup. You can hardly blame your friends for avoiding you. You'd take a breather from yourself if only you could. You realize you're not your regular self. The public crying without warning, the inability to think or talk about any topic other than your ex and your breakup...it's all so pathetic and boring. You miss your old personality, you're just not sure where she went and how to get her back. If you have noticed any of these symptoms you should seriously consider hiring a breakup coach before these changes to your personality become permanent or you completely alienate your friends. Make sure to pick a breakup coach that matches your personality. If you're crystalicious and like self-help books that use words like "path" or "journey" you should hire a woo-woo breakup coach. She can have you hugging your inner unicorn again in no time. But if you aren't comfortable feeling like a victim, don't like being coddled, and have a healthy sense of humor, you should hire boot camp-style breakup coach. She will provide you with training and strategies that won't just help you get back to being your old self; she can help you figure out how to become a better version of who you were before--You 2.0. The bottom line is this: When you're ready to quit being pitiful and start being powerful hire a breakup coach. You'll be doing everyone a favor.